Multi-award-winning sports & automotive brand communications specialists offering creative PR, social media, brand partnerships and experiential solutions. 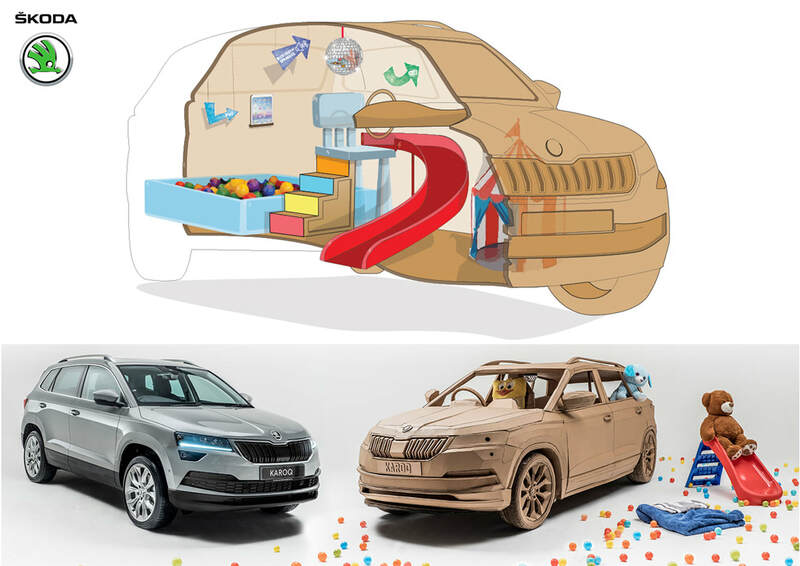 Children love to play in cardboard boxes..
​I was tasked to provide proof of concept artwork for a Skoda Karoq advert where the vehicle was to be recreated in cardboard equipped with slides, ball pit, glitter ball & more to create the ultimate cardboard box! The client wanted to demonstrate the idea to Skoda in a cut away view to see the world created inside and show how the cardboard aesthetic might look. Using a combination of hand sketches and base images, the final artwork was created in Adobe Illustrator and issued to the clients specifications. ​You can see more of the final outcome in this video.